SEASON is very proud to present CARS IN A CIRCLE, the first solo show of paintings on the west coast by Andy Heck Boyd. 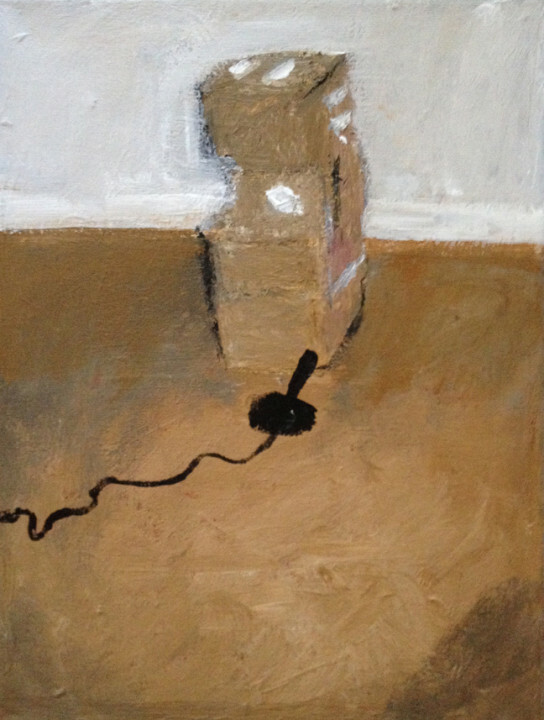 Andy’s work is motivated in part by his paranoid schizophrenia and delusions of hearing the voices of satan. These burdens have led Andy to multiple college drop outs, and forced him to become self-taught. 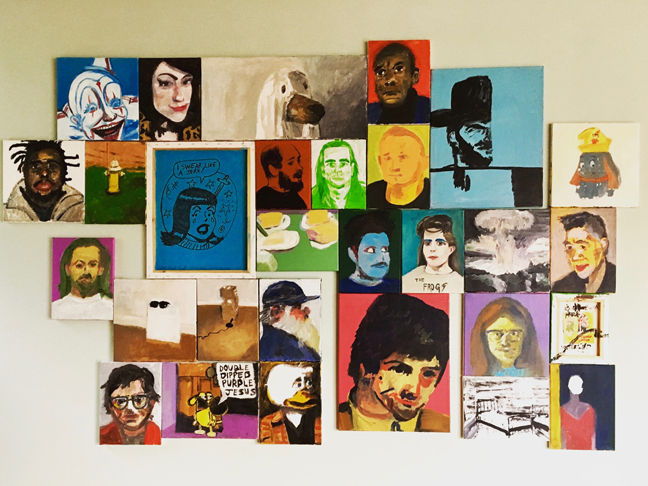 Pulling from numerous aesthetics and styles, his work ranges from short novellas, comics, film, photography and painting. 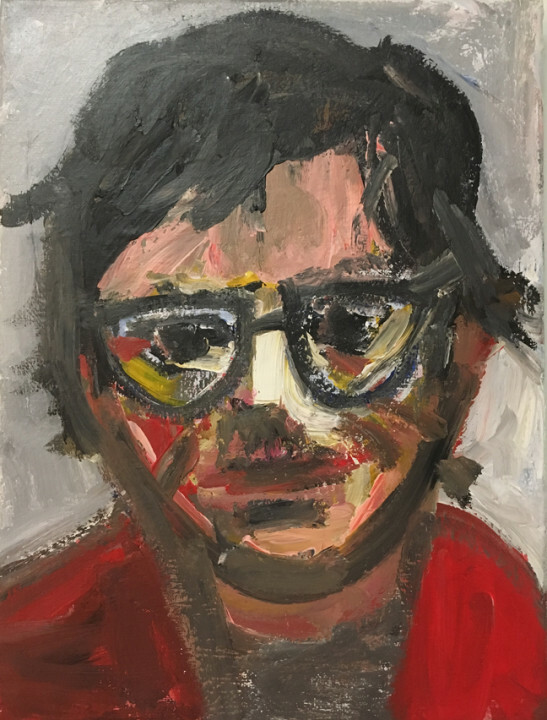 SEASON is excited to present a collection of acrylic portraits and still lifes, with an opening reception on Sunday January 15, 2-5 pm. The show will continue to March 31. “It is snowing. I am in my room with my back to the window, listening. —Andy Heck Boyd, December 5, 2016. 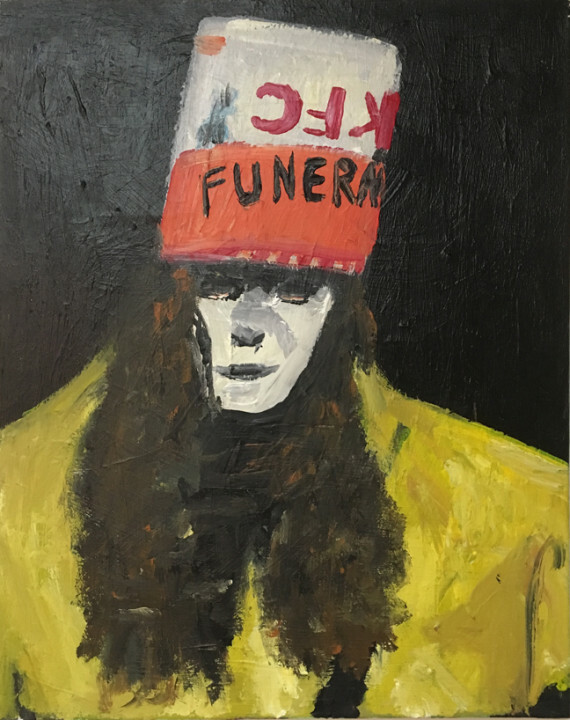 Andy Heck Boyd, Bucket Head, 2016, acrylic on canvas, 20 x 16 inches. 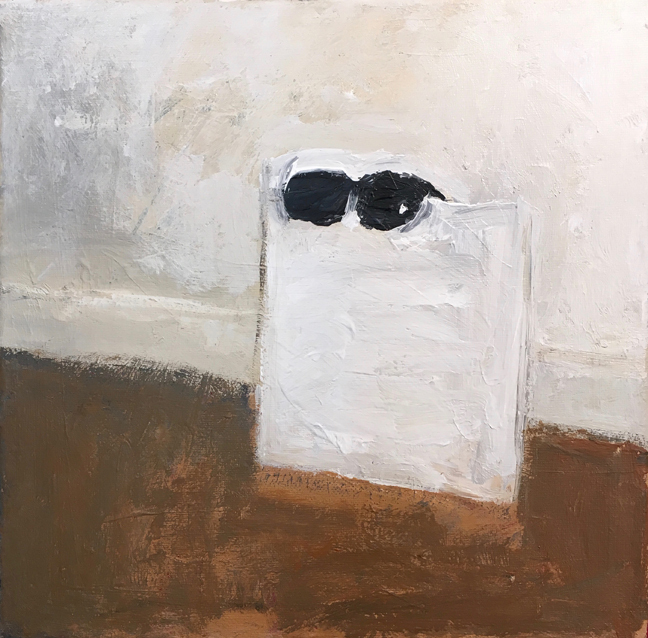 Andy Heck Boyd, Invisible Man Chevy Chase, 2016, acrylic on canvas, 12 x 12 inches. 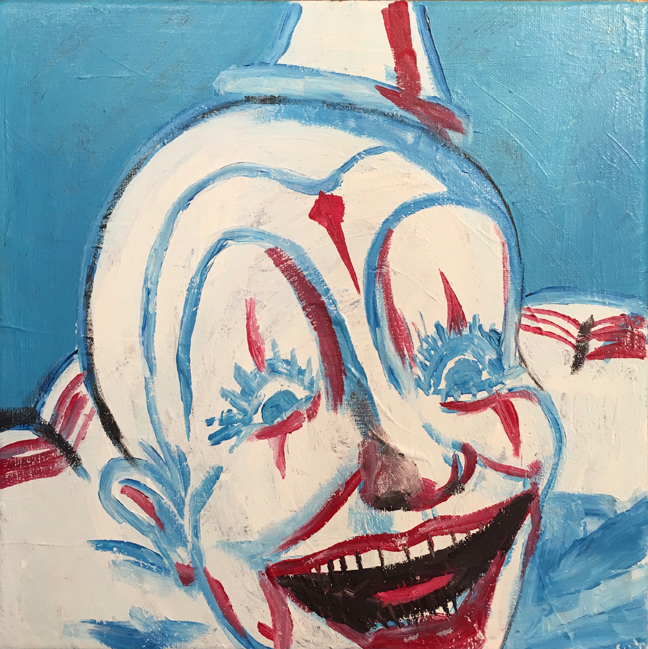 Andy Heck Boyd, Clown, 2016, acrylic on canvas, 12 x 12 inches. 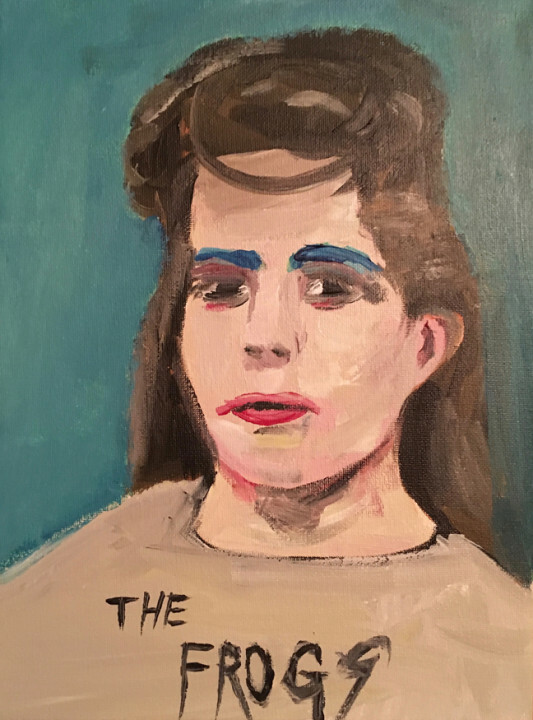 Andy Heck Boyd, The Frogs, 2016, acrylic on canvas, 12 x 9 inches. Andy Heck Boyd, Harmony Korine, 2016, acrylic on canvas, 12 x 9 inches. 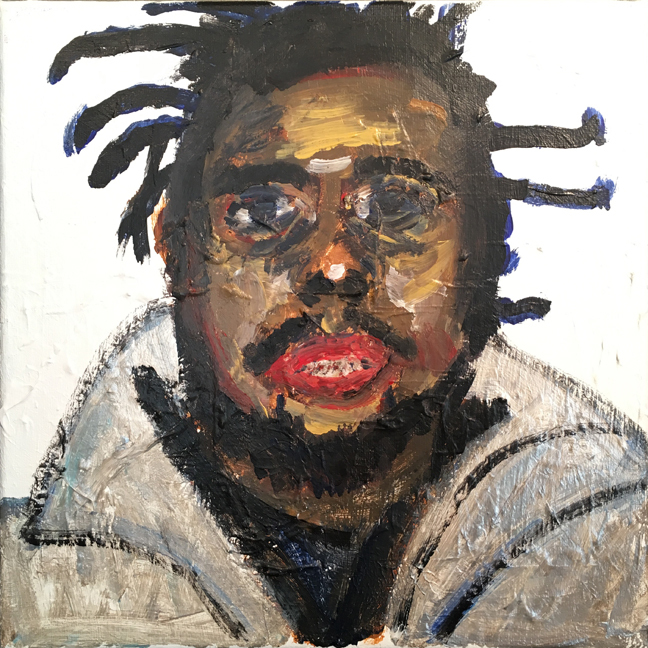 Andy Heck Boyd, ODB, 2016, acrylic on canvas, 12 x 12 inches. Andy Heck Boyd, The Beatles, 2016, acrylic on canvas, 12 x 9 inches. 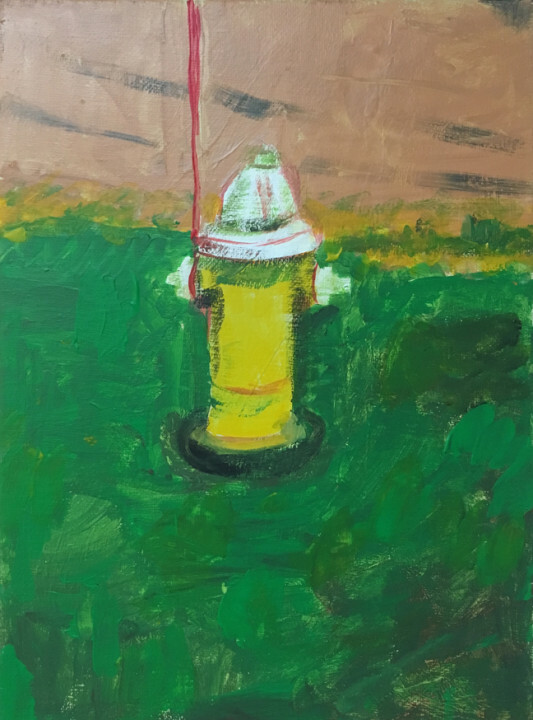 Andy Heck Boyd, Still Life, 2016, acrylic on canvas, 12 x 9 inches. 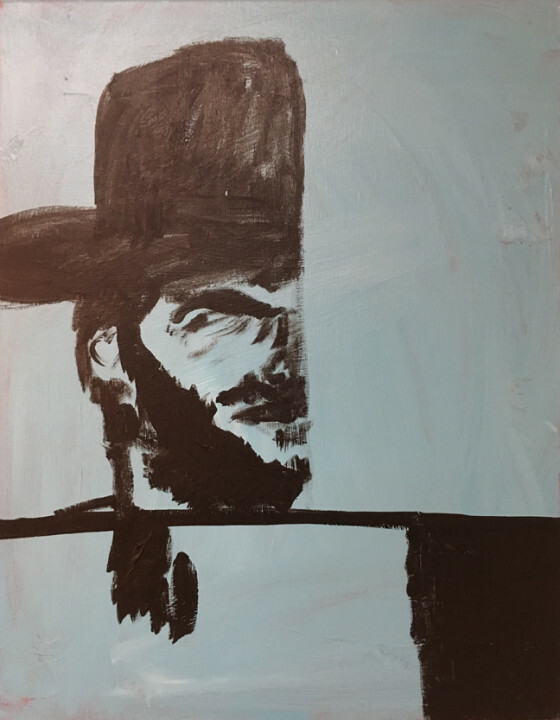 Andy Heck Boyd, Clint Eastwood, 2016, acrylic on canvas, 20 x 16 inches. 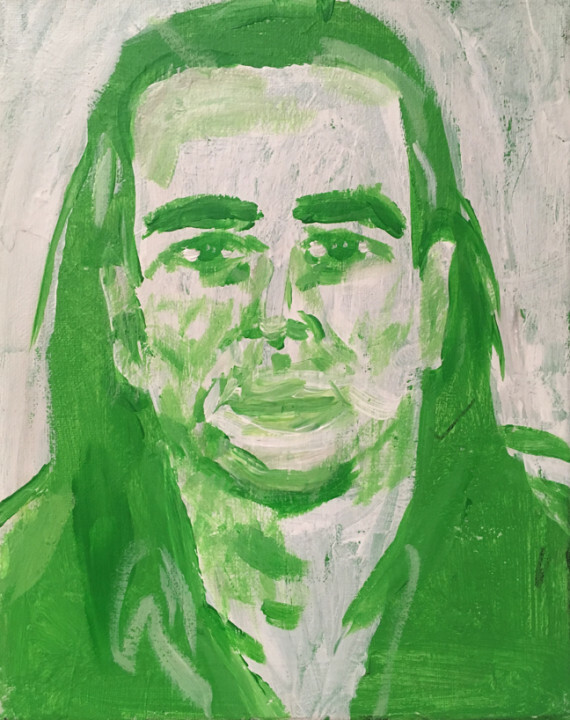 Andy Heck Boyd, Mike Kelley, 2016, acrylic on canvas, 10 x 8 inches. 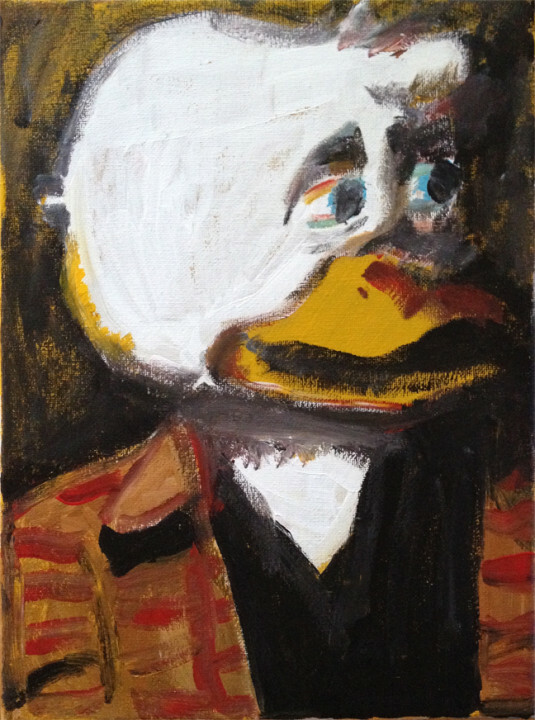 Andy Heck Boyd, Howard the Duck, 2016, acrylic on canvas, 12 x 9 inches. 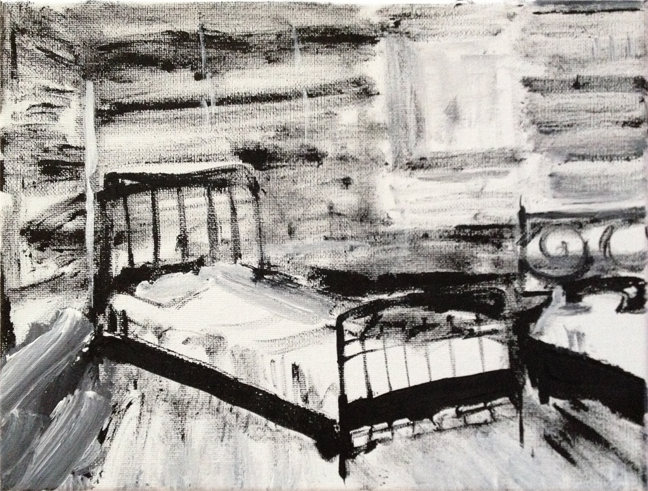 Andy Heck Boyd, Untitled (Bed), 2016, acrylic on canvas, 12 x 9 inches.